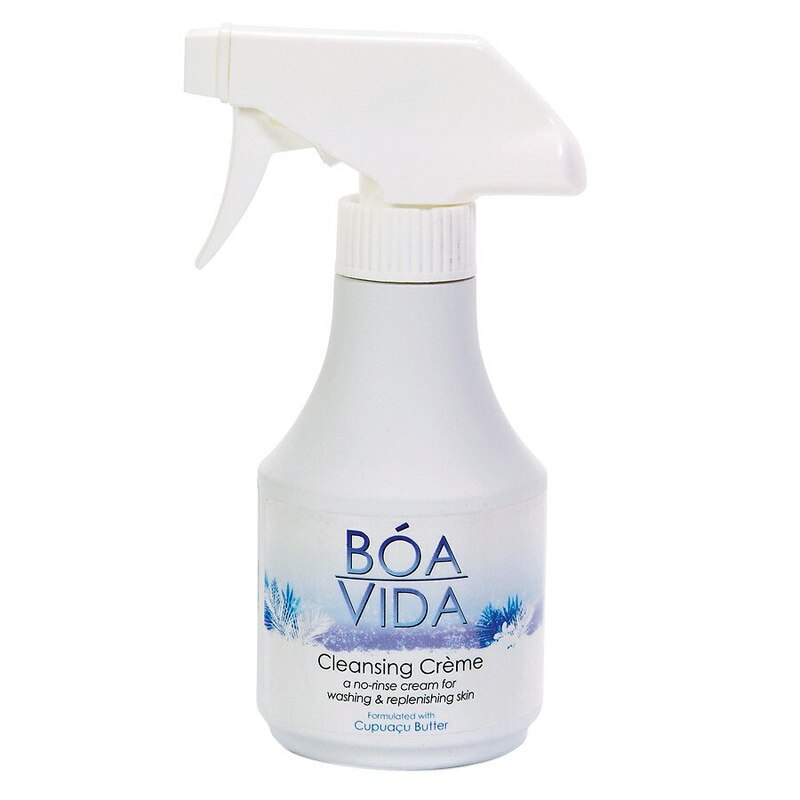 BoaVida Cleansing Creme is a no-rinse cleanser formulated to gently remove soil and debris from the skin. Formulated with vitamins, antioxidants, and phytosterols, Cleansing Creme combines superior moisture retention with effective, everyday skin protection. Its convenient trigger-sprayer assists with the application process. As with all BoaVida skin protection products, Cleansing Creme is formulated with Cupuacu Butter, an incomparable moisture-retainer that provides quick, long-lasting relief. Cupuacu (pronounced "coo-pwah-soo") is naturally obtained from the fruit of the Cupuacu tree, which is indigenous to the Amazon rainforests of northern Brazil. Cupuacu Butter is vitamin-enriched, contains powerful antioxidants, as well as high levels of phytosterols (which help regulated skin cell balance). Its unique, natural properties allow for fast trans-epidermal penetration and quick relief. Among the phytosterols found in Cupuacu Butter are beta-Sitosterol, Stigmasterol, and Campesterol, which helps control the balance and activity of the lipids contained with the epidermal (outer) skin layer. Unlike lanolin and shea butter (a member of the nut family), Cupuacu Butter has no known population segment with potential allergic responses. Rather, it has been evaluated at length for its hypoallergenic qualities. Non-irritating and non-sensitizing, it helps provide rapid moisture relief and retention. For incontinence care, apply a small amount of product to a damp washcloth or washing glove. Apply to affected area, turn cloth, and remove residue. Repeat as needed until area is cleansed. For general moisturizing, apply liberally as needed, concentrating on areas with dry, cracked skin. No rinsing or removal of product is necessary. For external use only. Do not use on deep or puncture wounds, animal bites, or serious burns. Keep out of reach of children. If swallowed, get medical help. If patient condition worsens or symptoms last for more than 7 days (or clear up yet return within a few days), seek medical help.